Sen. Richard Shelby (R-AL) has proposed significant reform to the Dodd-Frank Act that has passed out of the Senate Banking Committee on a party line vote. 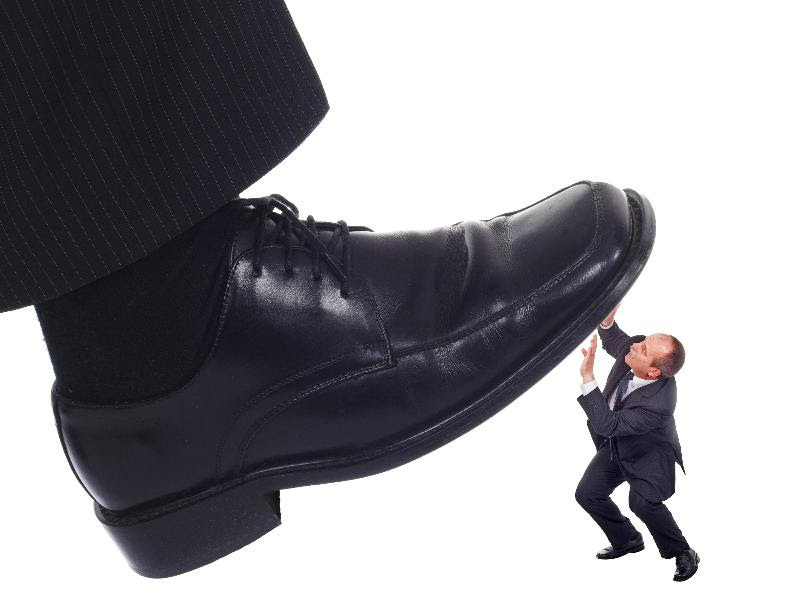 Will the Financial Regulatory Improvement Act of 2015 pass out of the full Senate? It could be up to YOU. Our friends at the American Bankers Association have facts about Shelby's bill, S.1484, and a petition of support you can sign here: http://www.aba.com/aba/regrelief/index.html. We only have a few days to let our voice be heard on this issue, so please act TODAY! 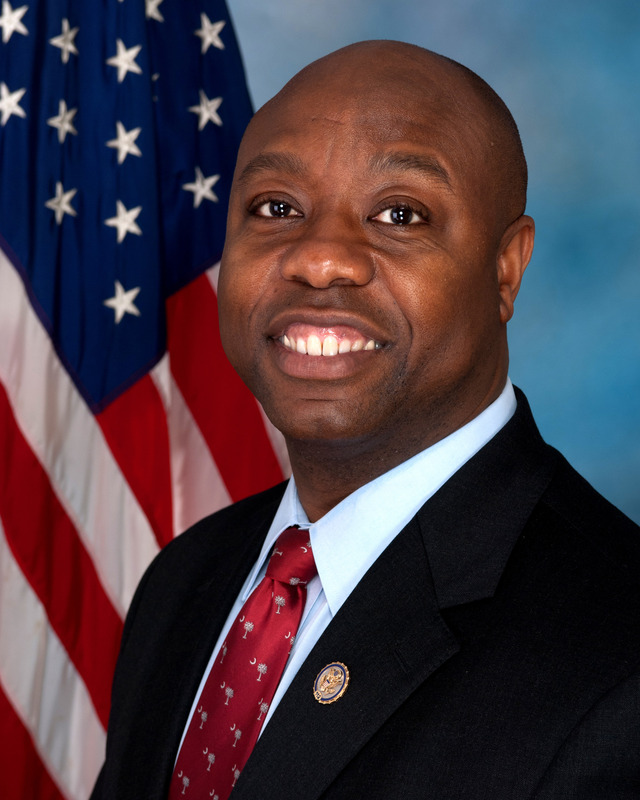 The junior senator from South Carolina brings to the Senate experience running an insurance business, as a financial adviser, a member and chair of the Charleston County Council, a member of the South Carolina House of Representatives, and a member of the U.S. House of Representatives. But he is also bringing to the Senate Committee on Banking, Housing and Urban Affairs a great appreciation for the role of banks in a healthy economy. "Banks play a critical role in helping make Main Street hum," he said at a November 23 gathering of business leaders in Salt Lake City, Utah. "But Dodd-Frank has erased progress and is destroying the American Dream," he said. "Unfortunately, it guarantees too big to fail, and also guarantees too small to succeed." Senator Scott also expressed appreciation for what Friends of Traditional Banking did to help elect Cory Gardner and Joni Ernst last year. He is working hard with Senate Banking Committee Chairman Richard Shelby on building support for financial regulatory reform in 2015, and we applaud his continued efforts! Have you seen the updated home page? Visitfriendsoftraditionalbanking.com to check it out! Live twitter feed, updated stats, list of leadership, and more. Donate to help us gear up to win again in 2016! Help Friends of Traditional Banking grow our nationwide network. The groundwork we lay this year is critical to more victories next year. CLICK HERE to see how to make an easy online donation or where to mail a check. 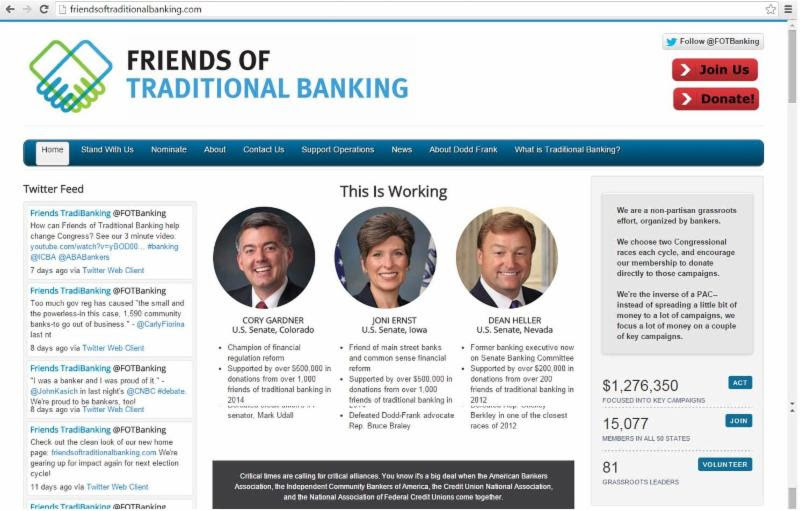 Friends of Traditional Banking is a non-partisan grassroots effort, organized by bankers. We have over 15,000 members in all fifty states, choose two Congressional races each cycle, and encourage our membership to donate directly to those campaigns.